How do couples seem to keep their relationship alive, fresh, new and exciting? How do couples seem to keep their relationship alive, fresh, new and exciting? What is it about couples who have been married 10, 15, and 20 years or more that keep them enthralled with one another? The answer really is simple – it’s all about communication. It’s the communication they have with each other – be it everyday life or important life events – that keep the relationship alive. After all, without communication, there is no real interaction between them; no trust in the relationship. A relationship with no communication is doomed to failure. According to psychologists, the feeling of being in love can last up to three years. 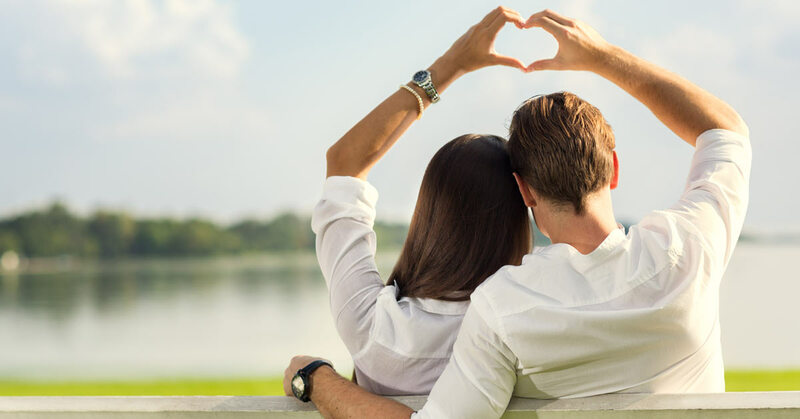 Studies have shown that a couple with a good relationship with great communication can offer a plethora of medical benefits such as lower stress and anxiety levels, decreased chance of developing Alzheimer’s and improvement in cancer survival rates. If you’re in a relationship that you’d like to last, what can you do to improve your chances of making that happen? Honesty is the best policy, especially when it comes to romance. If you are honest, it tells your other half that you respect them and give them your trust. It’s important to talk about your past, but be open to the things you expect and want to have for the future – your hopes and dreams. However, those things should be discussed as the relationship blooms. If you both have different options about a subject, regardless of what it is, talk about it and get each person’s perspectives. You may find that your perspectives are not all that different once you start talking. You should take time each day to talk – share your daily happenings or something more meaningful. Sit down and relax together (if you can). Or, walk the neighborhood. If you don’t see each other (perhaps because of distance or different shifts), just talk on the phone to let them know you still care. Share thoughts, interests, feelings and other things with your spouse or significant other to strengthen your bond. There are two types of people in the world – talkers and non-talkers. While it would seem non-talkers would be great listeners, that’s not always the case. Sometimes, non-talkers can tune out chatter from talkers, which isn’t ideal for a relationship. Various evidence shows that both genders process language in different ways. Women understand, produce and listen to speech easier than men because of nerve cells in the brain’s left half. No matter if you’re a talker or a non-talker, you need to learn the art of active listening. Be sure you look at the person talking and respond often by nodding your head or saying uh-huh. If your spouse or significant other needs to talk, listen to them. Respect their need to talk, as they should do the same for you. If you do something special for your significant other, it can mean a lot to them. If they are going through something difficult or they are under an unusual amount of stress, do something nice for them. Send your partner flowers or “have a great day” text message to show them that you’re thinking of them. In the grand scheme of things, it is the little things that count. They help to boost the strength of your relationship. For them, it makes them think warm, happy thought when you’re not together. Most people make the mistake that being intimate is only a sexual connection between two people. However, it’s not true. Intimacy brings two people closer together emotionally. It offers comfort and helps you to feel comfortable. And, intimacy isn’t just about sexual contact, it’s also about simple gestures as giving a back, neck or foot massage when your loved one is feeling rough. For a relationship to survive and thrive, it is highly imperative a couple communicates with each other. They need to show each other support and realize that one another’s problems are important. When one feels down and needs to talk, the other needs to stop and listen. Show each other respect and realize that sometimes it’s the little things that matter most of all.